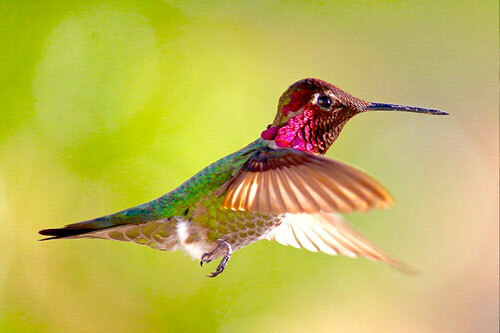 "I became passionate about photographing hummingbirds several years ago, when I hung a feeder on my balcony. "Golden Flight" was taken in May of 2016 in the late afternoon (magic hour) when hummingbirds are rampant!" The species pictured is a male "Anna's Hummingbird." EQUIPMENT: Canon EOS Rebel T3. 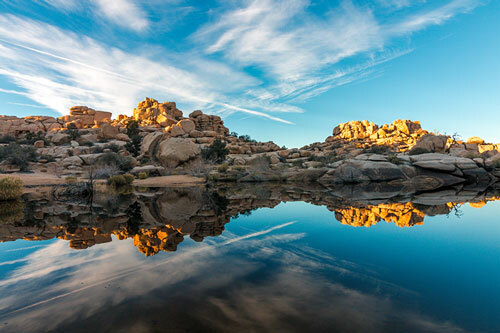 "I remember driving to this location around 5:30 am and hiking for 20 minutes in low 30 degrees with headlamps, since it was so dark. We took many pics during the hours of sunrise and this one was my favorite." EQUIPMENT: Canon 70D, Tokina 11-20mm. Exposure: 1/80, F9, ISO 100 shot at 11mm with tripod. 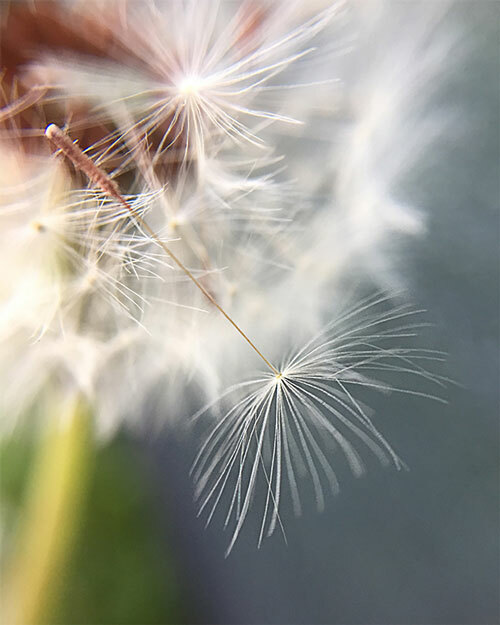 "Though I frequently use a Canon Rebel T6, the photo "Wish: Letting Go" was taken with my iPhone 6 and a $10 macro clip. This little beauty was growing between the sidewalk and a neighborhood construction site fence, which provided the solid background. With Macro, there's a whole, unseen, fascinating world right before our eyes. What is true in life, is true in macro-photography - CLOSE UP, things are often flawed, but always more interesting!" EQUIPMENT: iPhone 6. Exposure: f/2.2, exp 1/40, ISO 32.